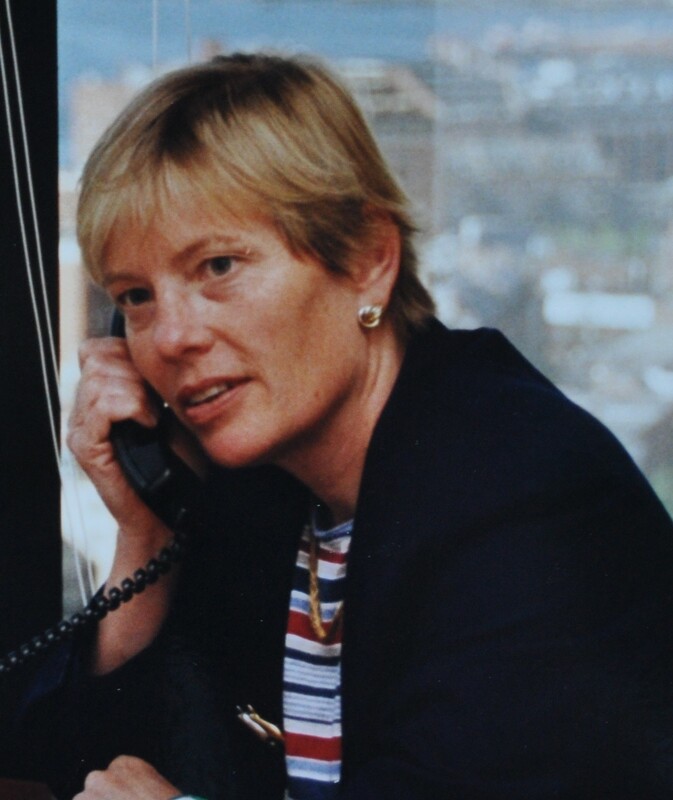 In 1998, during a sabbatical from my law firm, I served as a Visiting Scholar at Wellesley College’s Wellesley Centers for Women where I undertook a project to identify how women defined success for themselves personally and how they felt their law firms defined success. After the sabbatical I chaired the Boston Bar Association Work-Family Balance Task Force and Standing Committee on Work Life Balance where we looked at the effect of law firm culture on men, women, and minorities. Six other members of the Massachusetts Women’s Bar Association Employment Issues Committee and I conducted a survey of part-time lawyers in Massachusetts and wrote a report documenting our findings. I have been a commentator for a PBS documentary on work-life issues and speak and give workshops on a wide range of women-in-the-workplace and work-life issues. “Equal Engagement: Observations on Success and Career Meaning.” Working Paper Series, No. 282. Wellesley, MA: Wellesley Centers for Women. The Stalactite Palace: Women, Power and Relationship in the Legal World. Wellesley, MA: Wellesley Centers for Women No. A96 (audiotape). Editor and principal author of Facing the Grail: Confronting the Cost of Work-Family Imbalance. Boston: Boston Bar Association. Co-author of More Than Part Time: The Effect of Reduced-Hours Arrangements on the Retention, Recruitment, and Success of Women Attorneys in Law Firms. 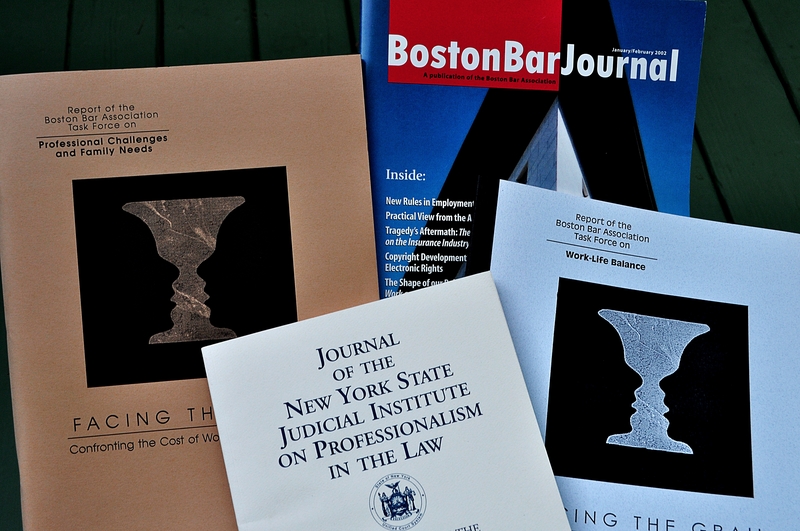 Boston: Women’s Bar Association of Massachusetts and American Law Media. Managing Partners’ Initiative on Work-Life Issues. Boston: Boston Bar Association. Remarks on The Massachusetts Managing Partners’ Initiative on Work-Life Issues,” Proceedings of the New York State Second Judicial Institute on Professionalism in the Law. Panelist. “Top Issues to Master for a Thriving Career,” American Bar Association Annual Meeting, Boston, Massachusetts. “Law Firm Economics and the Current Economy.” Panelist at Harvard University Law School Symposium, Cambridge, Massachusetts. Remarks, on The Massachusetts Managing Partners’ Initiative on Work-Life Issues, Convocation of the New York State Second Judicial Institute on Professionalism in the Law. “Work and Life in the Legal Profession,” Paper presented at New Hampshire Bar Association Continuing Legal Education Program, Concord, New Hampshire. Co-Chair of Women & Work: Creating Momentum for Change. Conference sponsored by Suffolk University Law School Advanced Legal Studies Program. “Glass Slippers, Glass Ceilings and the Four Chambered Heart.” Featured Presenter at Second Annual Conference on Advancing Women at Work: Leadership and Power in the 21st Century, sponsored by The Center for Women’s Psychological Health, Lexington, Massachusetts. “Dorothy Oz and the Hereafter: The Life and Times of Women Lawyers.” Keynote Address at Maine Bar Association Women’s Section Annual Program, Portland Maine. “Voice, Visibility and Impact: Being ‘Disappeared.” Paper presented at Jean Baker Miller Institute, Wellesley, Massachusetts. Commentator in Juggling Work and Family, a PBS documentary produced by Hedrick Smith Productions. Broadcast nationally in Sept. 2001 and Jan. 2002. For a more comprehensive listing of publications and presentations, click here for my 2017 CV. Click here to see my 2014 ABA Annual Meeting Remarks. To arrange for a presentation or to contact me for speaking engagements, click here.